The Kendall PGII Rated Multi-Purpose Sharps Container 18 Gallon Red Each has been engineered to allow for safe and proper disposal of all sharps. This specialty container meets all safety standards when it comes to the storage and disposal of used and contaminated needles. Please check with your city/county to see how they want these containers disposed of. The Large volume sharps containers are designed to accommodate all sizes of sharps with the adjustable lid. Lids can provide temporary or permanent closure. Adjustable lids accommodate large sharps. Lids can provide temporary closure when container is not in use to reduce exposure to contents. Container locks for final disposal. Nestable containers save valuable storage space. 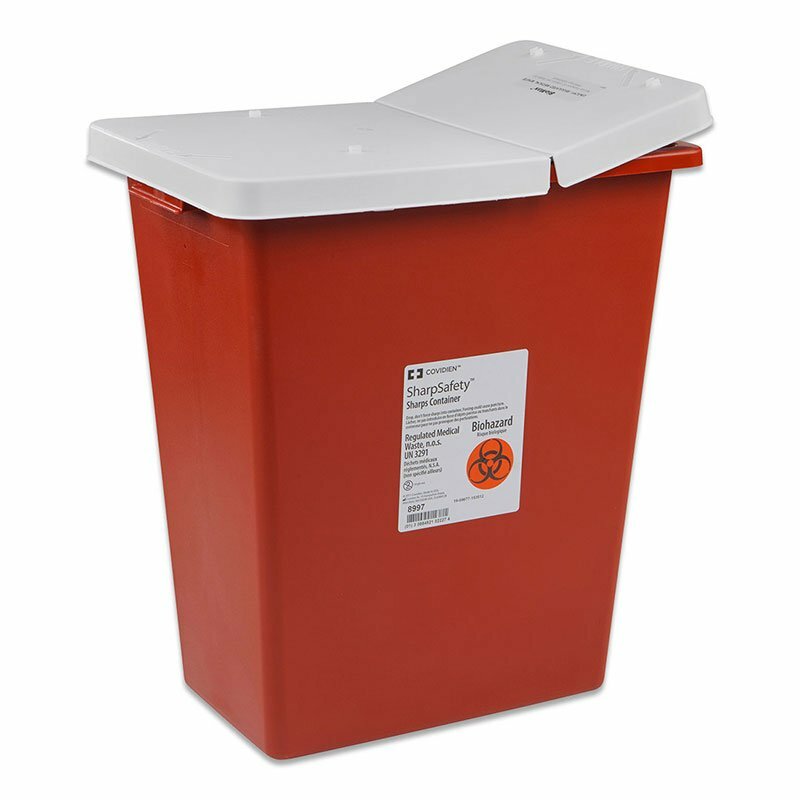 Contains 1 SharpSafety Sharps Container with Gasketed Hinged Lid, PGII Rated, 18 Gallon - Red.